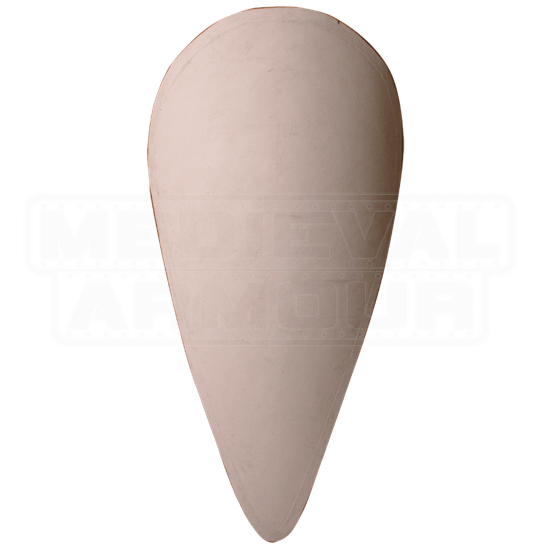 If you are looking for a simple and unadorned shield to carry into battle, then you have found just what you need in this Blank Linen Covered Wooden Shield. Of course, this is also the shield to consider if you want to create and paint your own shield! This large shield is crafted from sturdy poplar wood and features a linen covering, which helps to improve the strength and blocking power of the shield, while keeping the wood sealed and safe from moisture. The shield has a reverse tear-drop shape which classifies it as a kite shield, which was favored by warriors throughout the Middle Ages. The shield is fully functional. 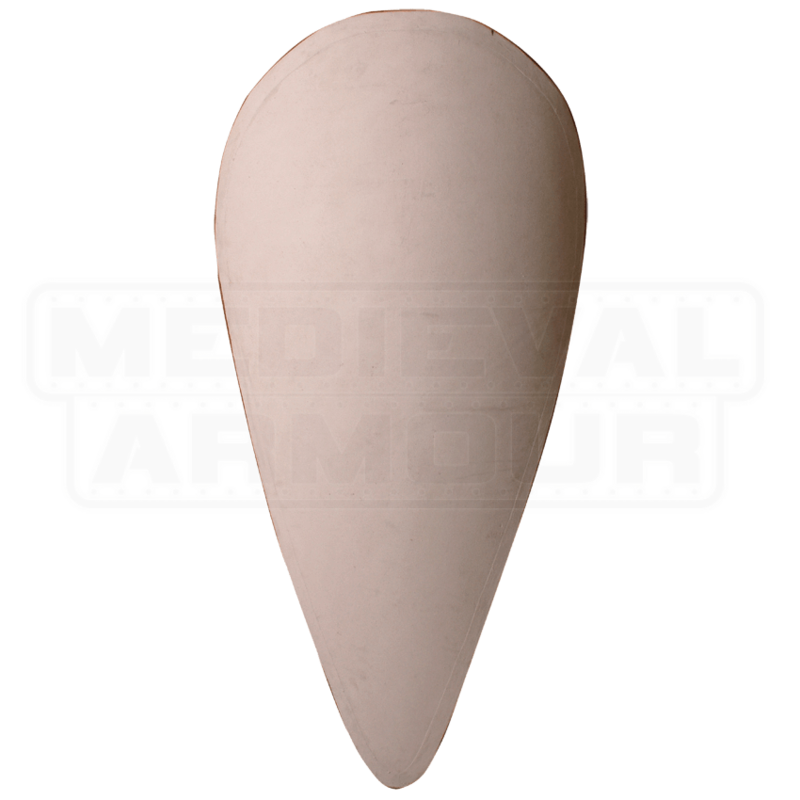 Strong and sturdy, this Blank Linen Covered Wooden Shield will definitely keep you safe in battle, and if you so choose, it will also allow you to show off your own personal heraldry (as well as your artistic talents), too.